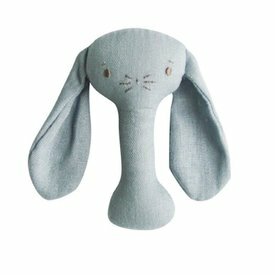 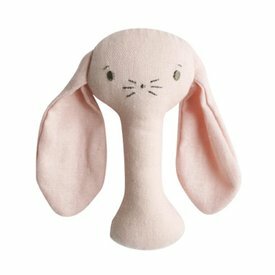 Alimrose is an iconic Australian children's brand that crafts beautifully and ethically made toys, dolls, and accessories. 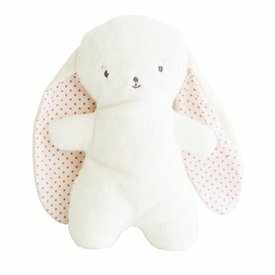 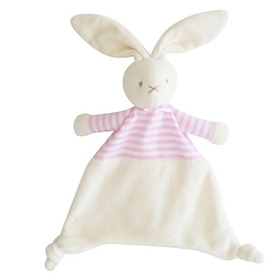 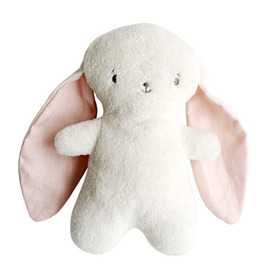 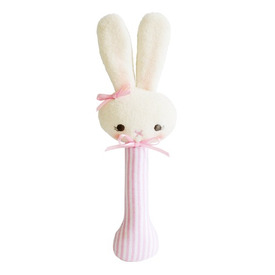 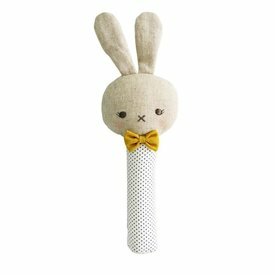 A cute and soft bunny with long floppy ears lined with linen with pink spots. 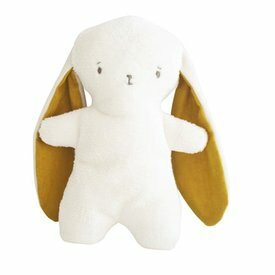 Cotton and poly cotton outer with all new fibre fill inner. 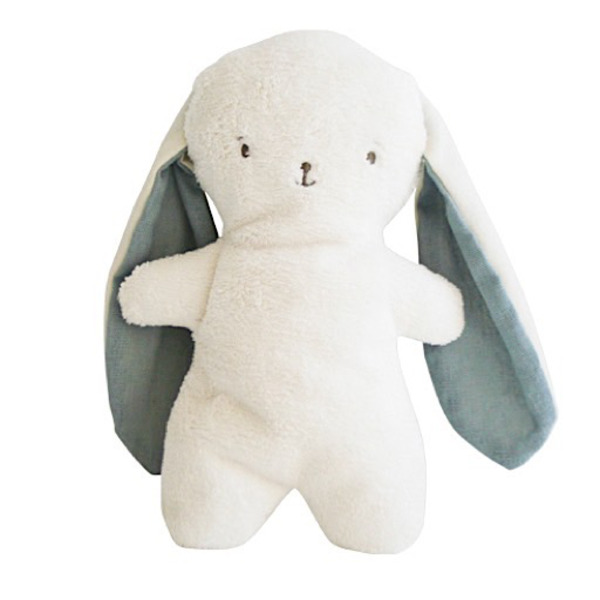 Suitable from birth.